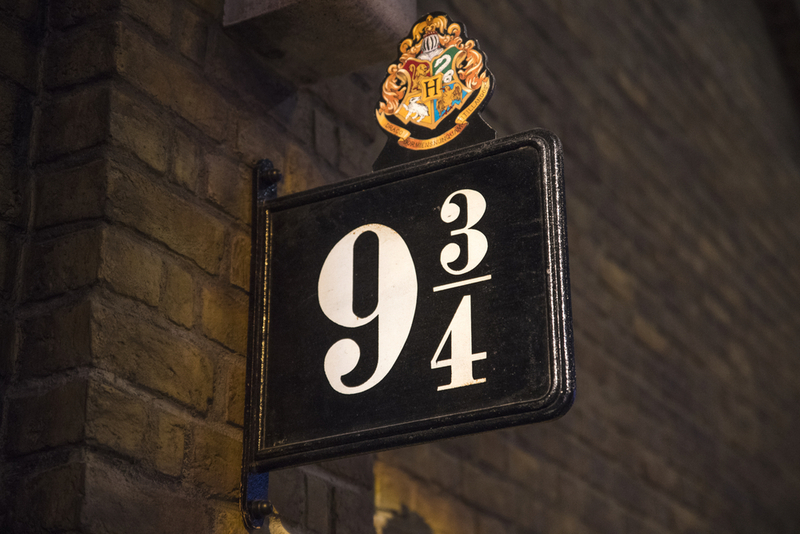 Students board the train to Hogwarts at Platform 9 ¾ of which train station? Students attending Hogwarts Academy must board the Hogwarts Express train on platform 9 ¾ at King’s Cross station. The train leaves precisely at 11am on September 1 each year, and it can be accessed by walking through the solid barrier between platforms 9 and 10. What country is Hogwarts in? While it's known that Hogwarts School is somewhere in Scotland, the exact location is hidden with various charms and spells that make it impossible to discover. 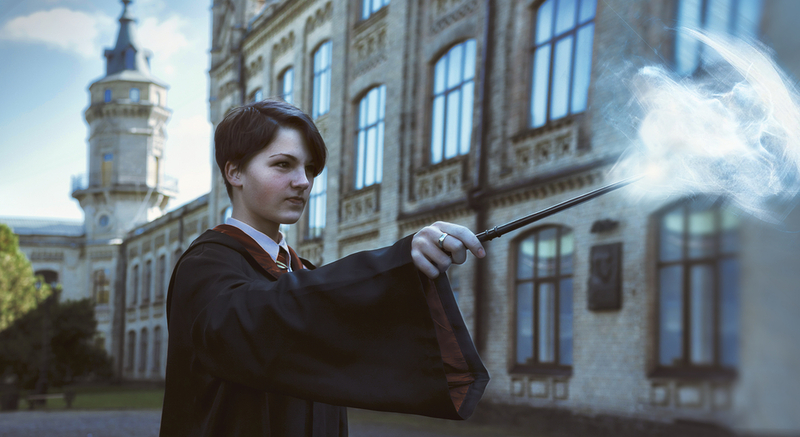 How many mandatory subjects are there for first-year students at Hogwarts? 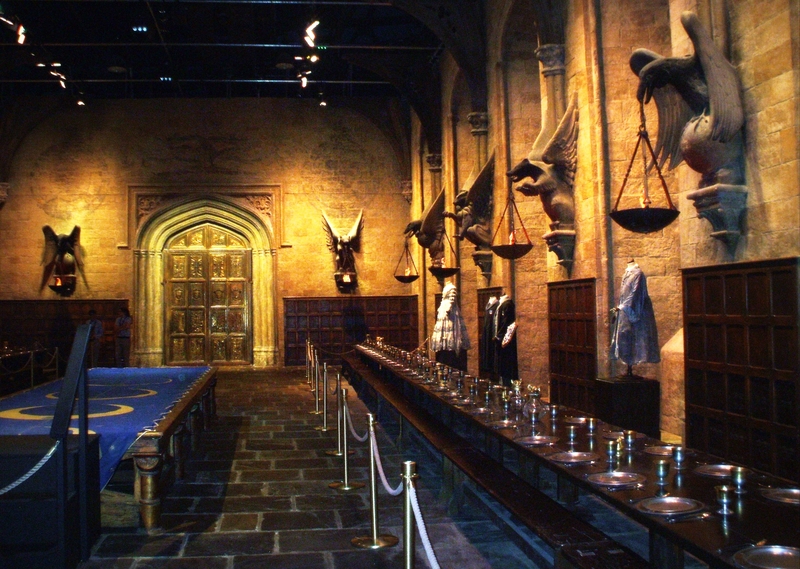 There are seven required subjects for all first-year students at Hogwarts. 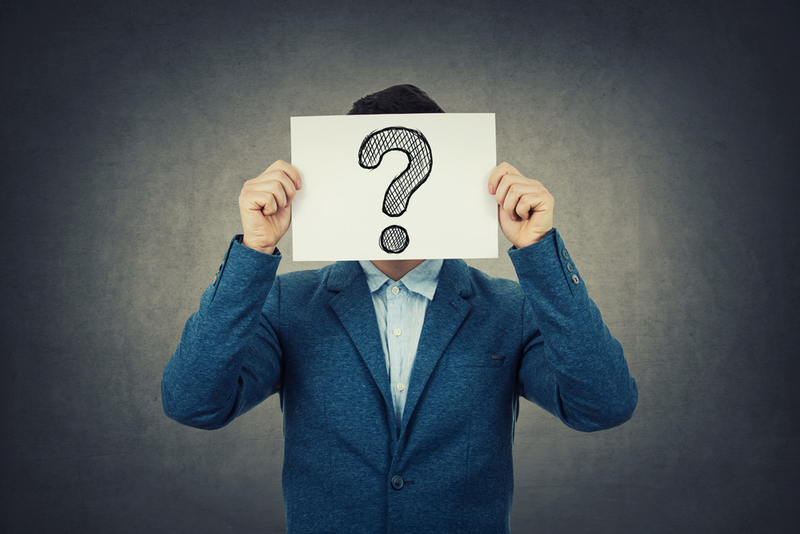 Which of these is NOT a mandatory subject for first-year students? The mandatory subjects for first-years at Hogwarts are: Transfiguration, Charms, Potions, History of Magic, Defence Against the Dark Arts, Astronomy, and Herbology. Learning how to fly on a broomstick is also required of all students. True or False: Hogwarts is considered slightly less safe than Gringott’s Bank, which is why the Philosopher's' Stone is hidden at the bank. 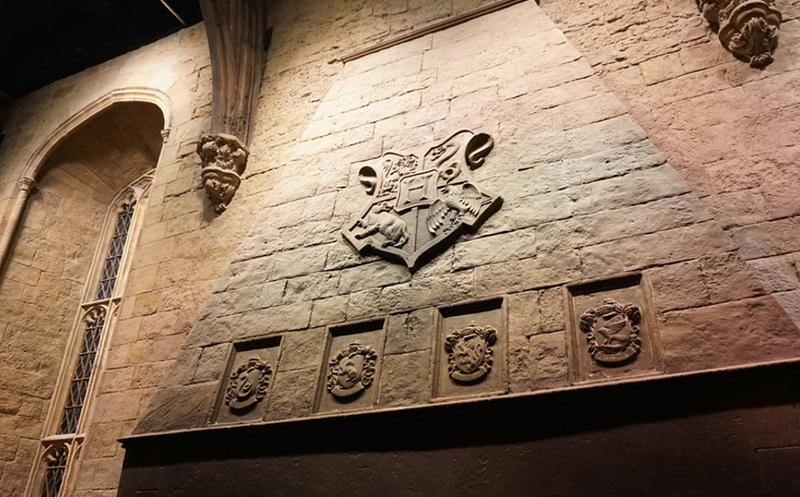 According to Rubeus Hagrid, Hogwarts is the safest place there is in the magical world, even safer than Gringotts, the bank where wizards store their money, which is why the Philosopher's Stone was kept in the school. What is the name of the village near Hogwarts? The village of Hogsmeade is the closest populated location to Hogwarts, and is located near to Dufftown in Banffshire and Achintee in Lochaber. Surrounding the castle are mountains, and to the south is the Great Lake. To the west of the doors to the entrance hall are broad, sloping lawns, as well as the Forbidden Forest. The grounds of the castle also contain vegetable patches and a number of greenhouses. One group of former students created a magic map while they were at Hogwarts, which exposes every part of the school. What is the map called? James Potter, Sirius Black, Remus Lupin and Peter Pettigrew (known as the Marauders) created the Marauders Map while they were students at Hogwarts. The map is a magical document which exposes every part of Hogwarts, including the secret passages, as well as the location of every person on the grounds, indicated by a dot and their name (though in the movies footsteps were used as indicators instead). The map can’t be fooled by invisibility cloaks or any kind of potion or spell, and can even detect the castle ghosts. The only flaws of the map are that it’s unable to discern the identities of people with similar names (like Barty Crouch Jr./Sr. ), and it doesn’t show rooms that are unable to be plotted on a map (like the Room of Requirement). Which of these people was NOT one of the students responsible for creating the Marauders Map? 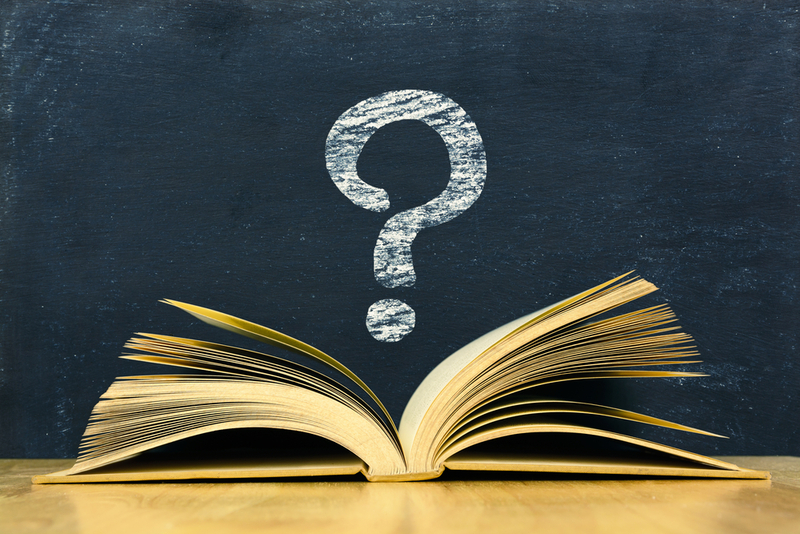 True or False: There is a book in Hogwarts that records the name of every magical person born, and whether or not they will be chosen to go to Hogwarts. The Book of Admittance is an ancient book bound by peeling-black dragonhide that sits locked in a small tower, and no human hands have touched it since its placement there by the founders. Beside the book is a small silver inkpot with a long quill called the Quill of Acceptance. The quill writes down the birth of every magical child in the book, as well as non-magical children who display magical ability. Few wizards even know of the book's existence, and fewer still have ever witnessed it in action. This is the only system that has ever existed for admitting children into Hogwarts—if their name is in the book, they are accepted. At what age is a young witch or wizard told that they’ve been accepted to Hogwarts? A Witch or a Wizard who is born with magical abilities will be automatically enrolled in Hogwarts as soon as they're born. At age 11, admission is confirmed via owl. If the child has magical abilities but is born to Muggle (human) parents, their parents receive a visit from one of the school’s professors. 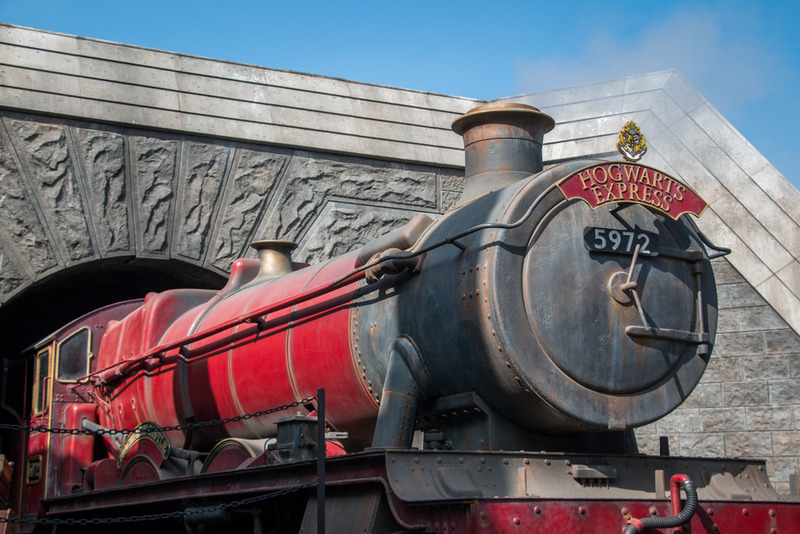 True or False: Every year, all students are transported from the train station in Hogsmeade to Hogwarts Castle by boat. As soon as they get off the train at Hogsmeade Station, first-year students are led to boats that carry them across the Great Lake. Thestral-drawn carriages transport the older students to the school. The Sorting Hat then decides which of the four houses each student will be assigned to—Gryffindor, Hufflepuff, Ravenclaw, or Slytherin. 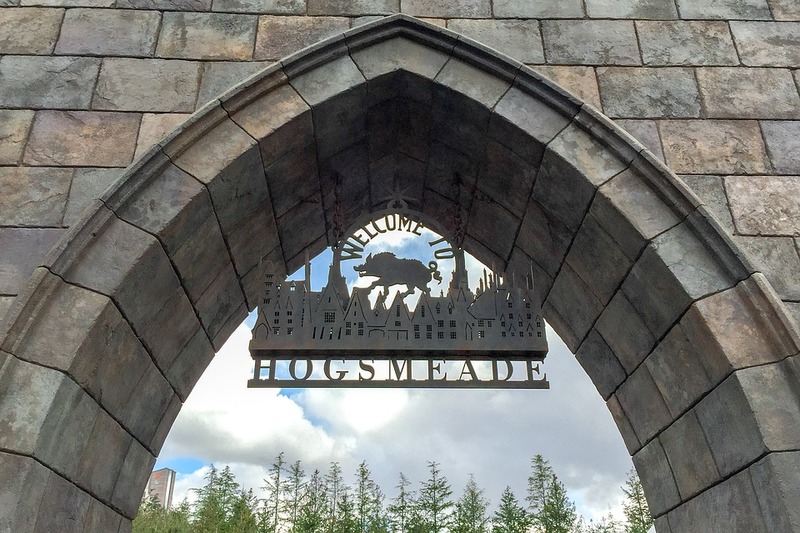 The houses are named after the four founding wizards of Hogwarts, and students are sorted according to the different personalities of the founders. 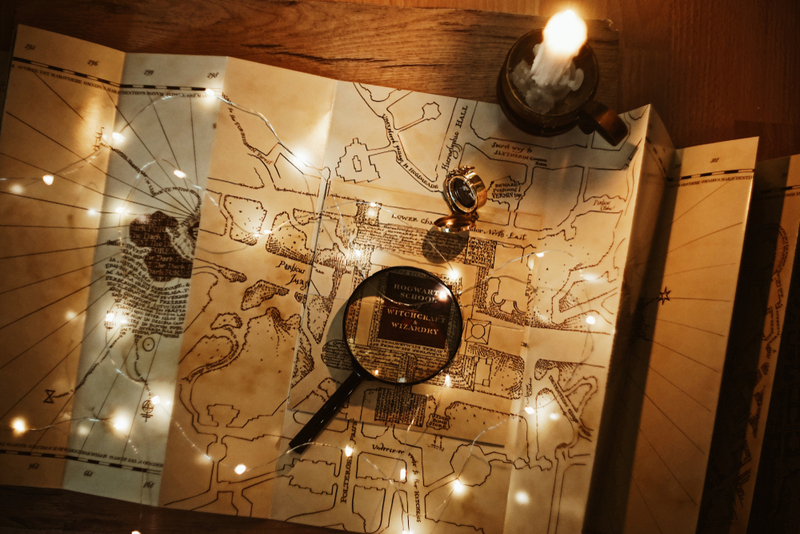 According to the Marauder’s Map, how many secret passages are there leading in-and-out of Hogwarts? 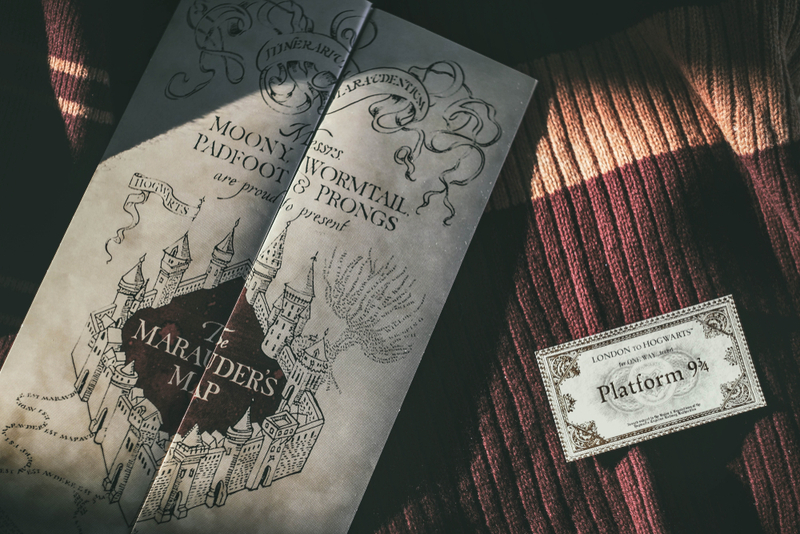 According to the Marauder’s Map, there are a total of seven secret passages in Hogwarts that allow students to sneak in and out of the school. 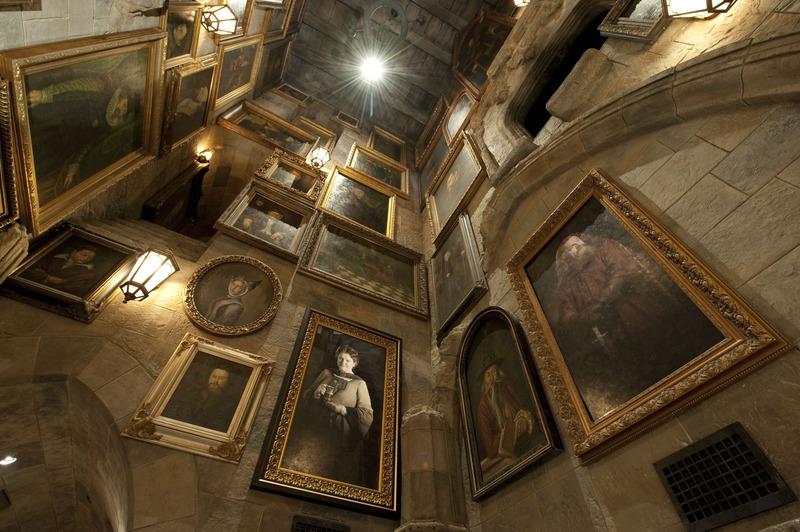 Among them are the One-Eyed Witch passage, which is found behind the one-eyed witch statue by the stairs to the Defence Against the Dark Arts classroom. 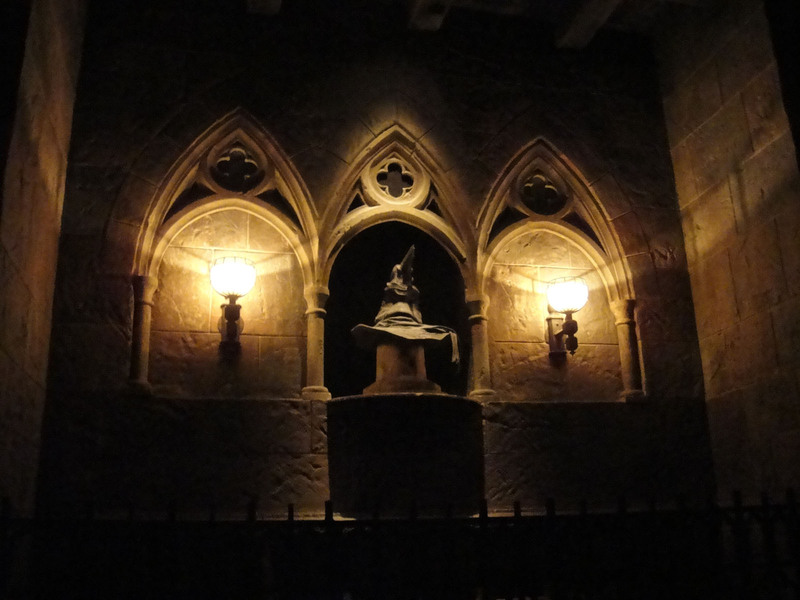 The passage is opened by tapping the wand on the statue and speaking the password, Dissendium. It leads to Honeydukes Sweet Shop in Hogsmeade by way of a tunnel under the school. 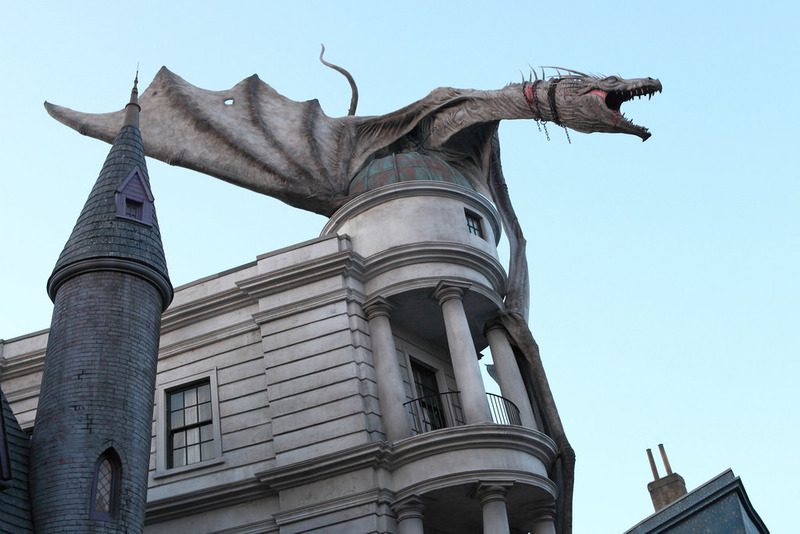 True or False: it’s impossible for a Muggle to see Hogwarts. 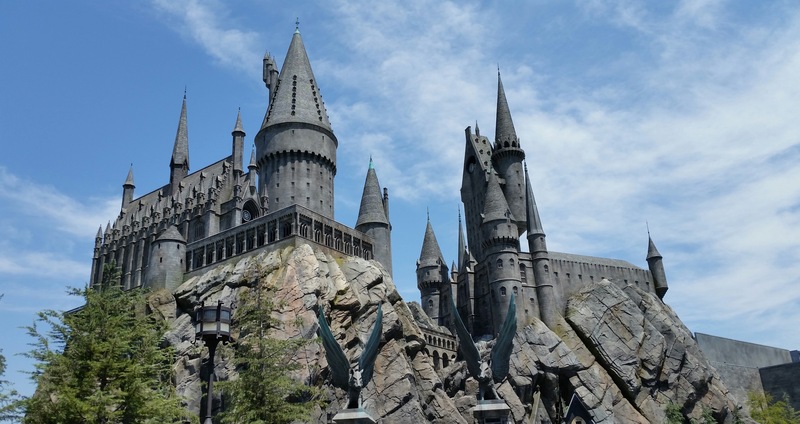 Muggles could easily stumble across the location of Hogwarts...but they wouldn’t know it. If anyone does come across it, all they will see is the ruins of a castle with a warning to keep out. This is the same for most wizarding schools, which are deliberately concealed to both protect the students and the school, and to keep their secrets from being revealed. 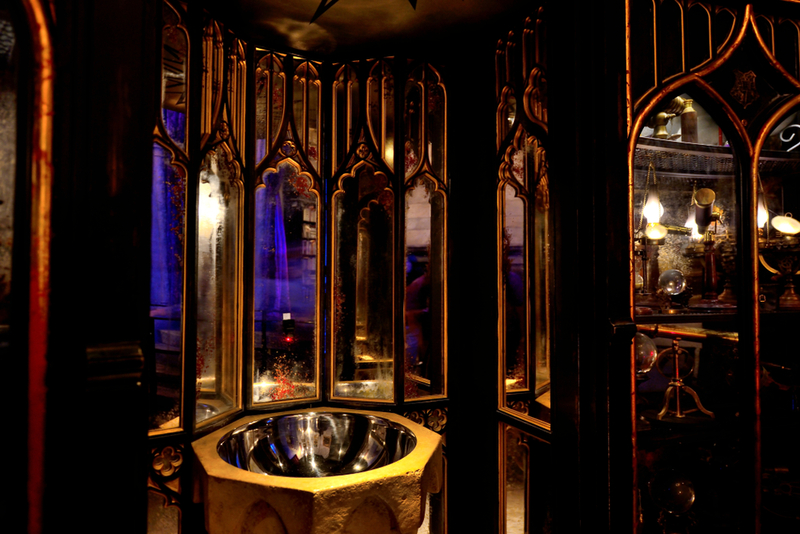 Moaning Myrtle’s final resting place is in the first-floor girl’s bathroom above the Great Hall. Who was Moaning Myrtle? Moaning Myrtle’s final resting place is in the first-floor girl’s bathroom above the Great Hall. Myrtle was a Ravenclaw student who was killed by Slytherin’s Basilisk under the order of Tom Riddle (AKA Voldemort). Myrtle haunts the toilet, and frequently floods it with her emotional outbursts. 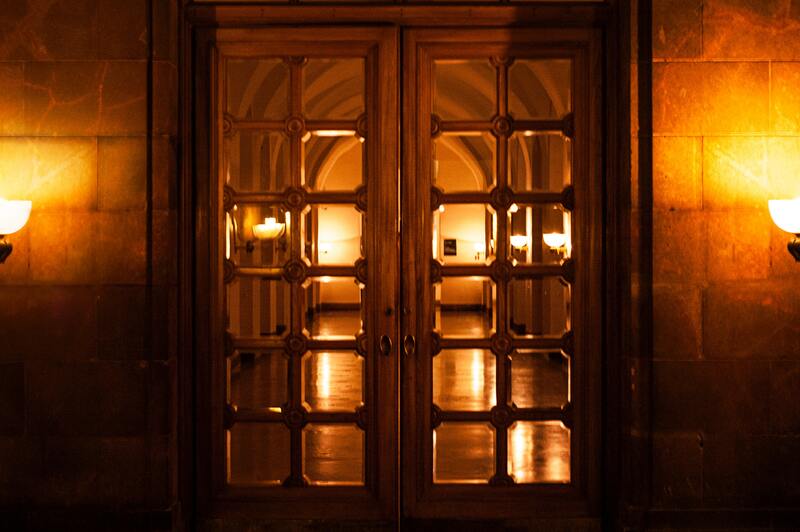 It’s described as “gloomy, with cracked and spotty mirrors, and chipped stone sinks." Due to Myrtle’s depressing presence, girls attending Hogwarts only go in there when absolutely necessary. Which Hogwarts founder wanted the school to only accept pure-blood students? Salazar Slytherin wanted Hogwarts to admit pure-bloods only, but when the other founders refused to agree to this principle, he chose to leave the school. Which of these options is NOT the name of a school that traditionally participates in the Tri-Wizard Tournament? The first tri-wizard tournament was held 300 years after the founding of Hogwarts. The tournament was an interschool competition between the three most prestigious magical schools in Europe—Hogwarts, Beauxbatons, and Durmstrang. It was in part created to allow students from the different schools to interact with one another. 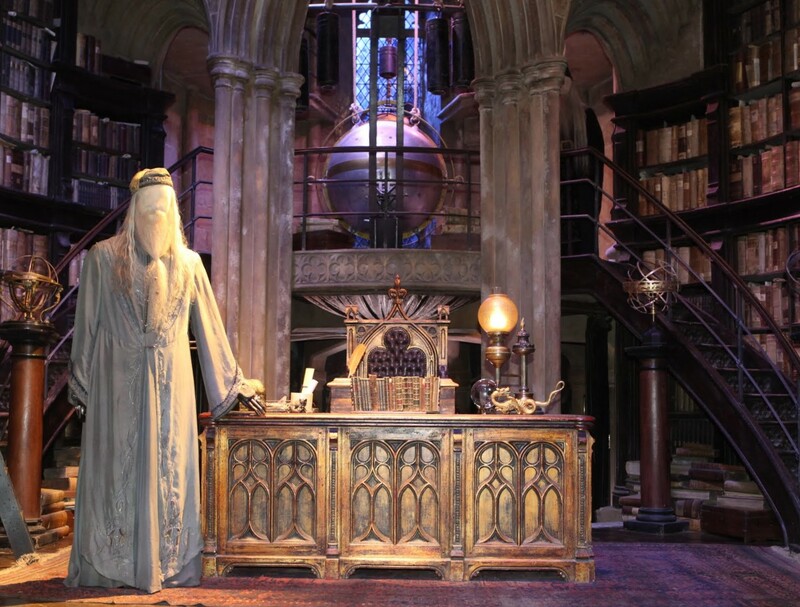 True or False: It is impossible for students and teachers to apparate or dissaparate inside Hogwarts. Apparating and Dissaparating to or within Hogwarts is impossible for all students and teachers. The only one with the ability to magically appear and disappear in the school is Dumbledore. 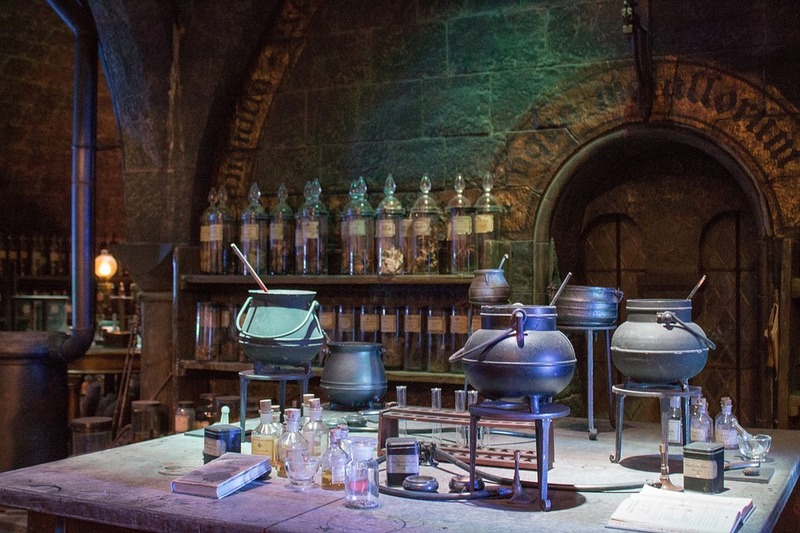 Which Hogwarts house has the entrance to their common room hidden in the kitchens? The Hufflepuff Common Room’s entrance is located in the kitchens, concealed behind a pile of barrels in the back right corner. To enter you must tap the right barrel on the bottom row with the rhythm of Helga Hufflepuff—tap tap, tap-tap-tap. If you get it wrong, you get soaked with vinegar. 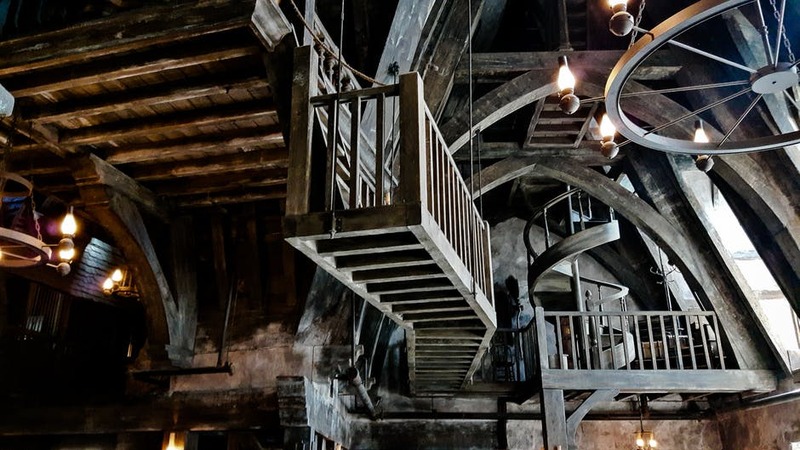 True or False: The staircases at Hogwarts are known to move around. Which of these real-life figures has a portrait hanging at Hogwarts? A portrait of Henry VIII’s wife Anne Boleyn is hung on the wall of the grand staircase near the second-floor landing. She was the Queen consort of England, and mother to Elizabeth I, but Muggles believed that she was a witch. There were also rumors in the Wizarding community that she was a squib—a non-magical child born to magical parents. Which of these options is NOT the name of a ghost at Hogwarts? 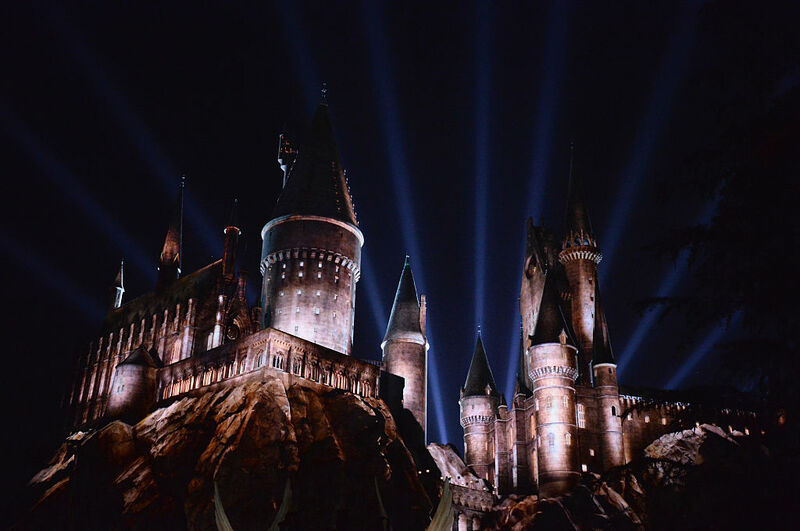 Hogwarts is highly haunted, and is home to numerous ghosts. 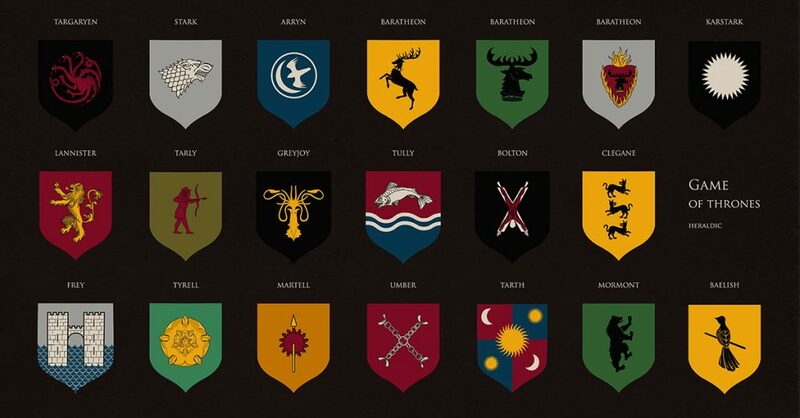 Each house has its own ghost, with different features and personalities. Slytherin has the Bloody Baron (who is covered in sliver bloodstains), Hufflepuff has the Fat Friar, Ravenclaw the Grey Lady, and Gryffindor Nearly Headless Nick. The most useful of Hogwarts’ ghosts is Professor Binns, the school's History of Magic teacher. One day, he simply fell asleep in front of the fire in the teacher's quarters, then got up to teach his class the next day, leaving his body behind. He may or may not realize that he's dead, and enters his lessons through the blackboard. What is the tallest tower at Hogwarts? 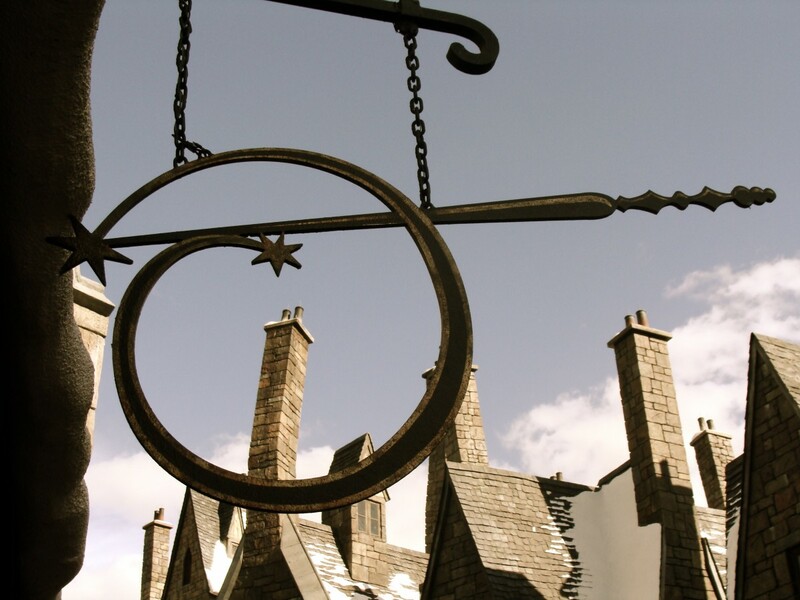 True or False: The Pensieve of Hogwarts is older than the school itself. 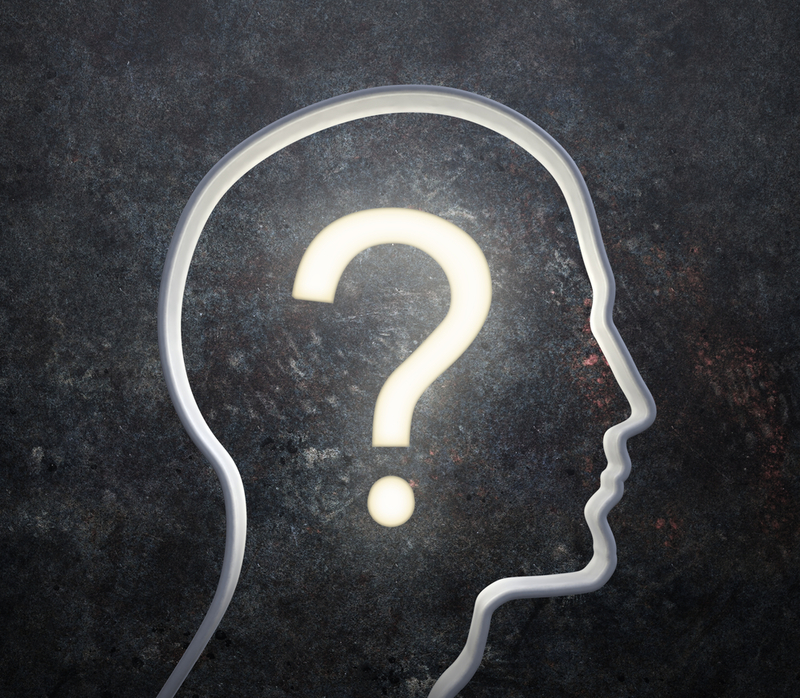 A Pensieve is an object which allows for the sorting and reviewing of memories. 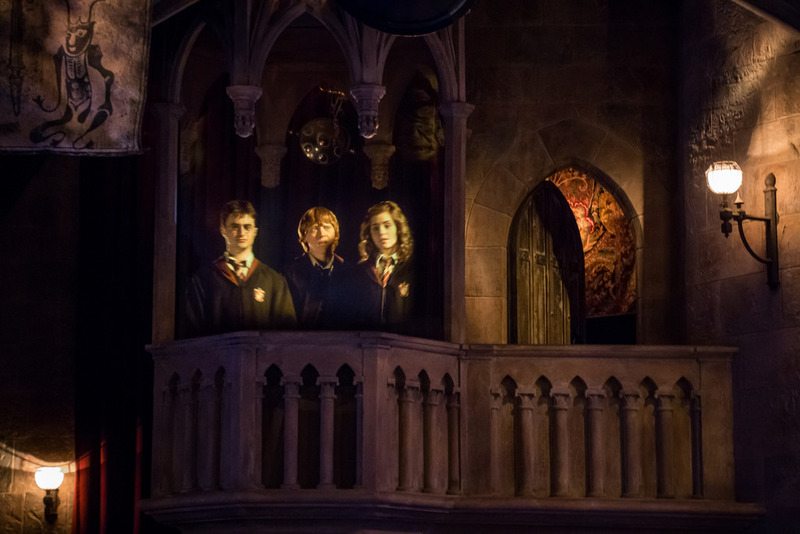 The Pensive of Hogwarts is used by the headmasters to review specific memories. Not much is known about its creation except that it is made of stone, carved with Saxon runes, and it is older than the school itself. 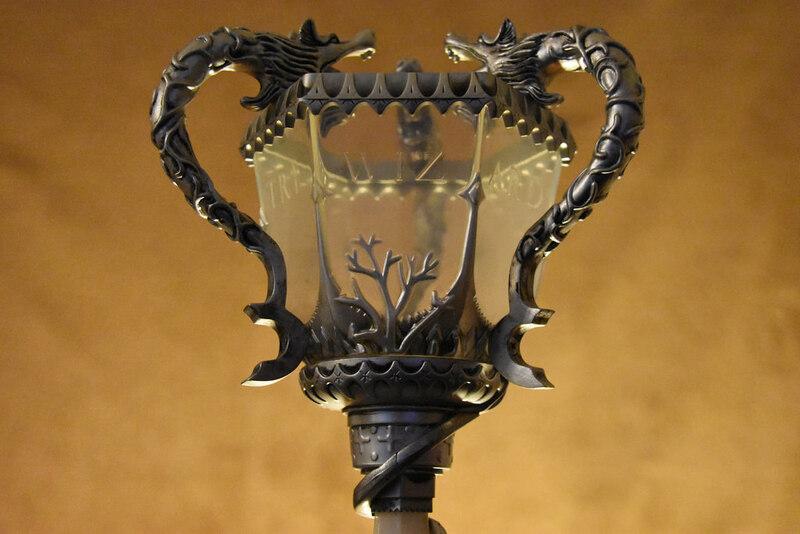 According to legend, the Pensieve was found by the school’s founders half buried in the ground, and it has become an invaluable tool for headmasters and headmistresses. 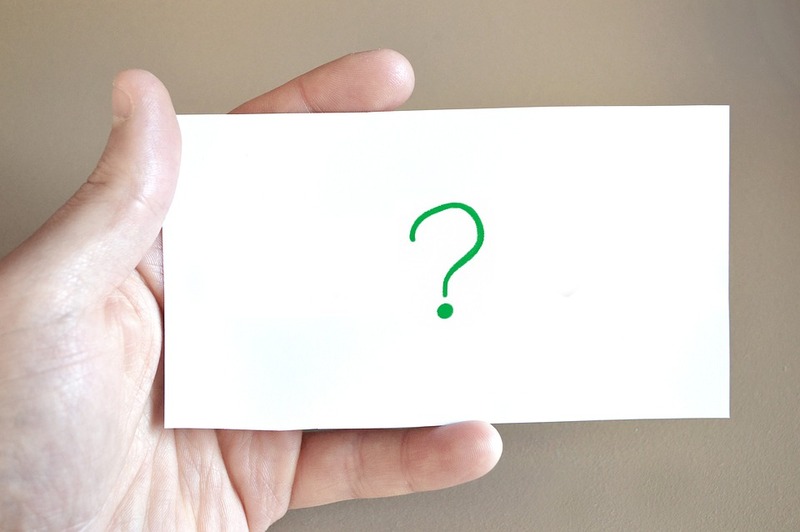 What is the name of the Hogwarts poltergeist. In addition to the numerous ghosts that inhabit Hogwarts, there is also a famous and disruptive poltergeist. In the Harry Potter universe, Peeves is the most infamous poltergeist in British history, and has "lived" at Hogwarts since 993. He is especially fond of mischief and chaos, and the only people who have any control over him are the Bloody Baron and Dumbledore. Unlike the other ghosts in the castle, Peeves actually has a physical form, though he's able to become invisible at will. Many students and teachers enjoy Peeves, but he is a "pet peeve" for the caretakers at the school who have to clean up his messes. “The Battle of Hogwarts” which occurs at the end of the Harry Potter series, takes place in what year? The Battle of Hogwarts took place in May 1998 within the castle and on the grounds of Hogwarts, and was responsible for ending the Second Wizarding War. The Hogwarts motto is “Draco Dormiens Nunquam Titillandus”. What does that mean? “Never tickle a sleeping dragon"
The school’s motto is Draco Dormiens Nunquam Titillandus, which translated from Latin means “never tickle a sleeping dragon." When asked how she arrived at the motto, J. K. Rowling explained that she’d always found traditional school slogans about perseverance and nobility boring, and it amused her to use a "practical" piece of advice as the school motto. 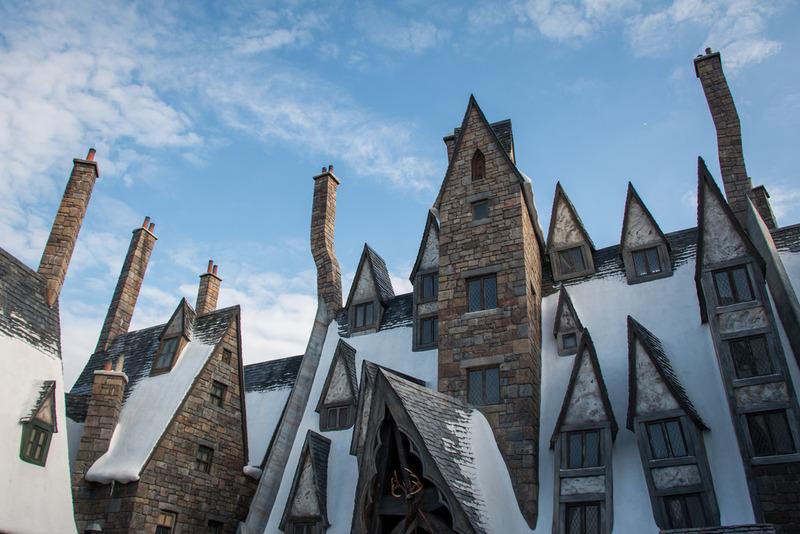 True or False: Muggle electronics don’t work on the grounds of Hogwarts. Electricity and electronic devices are not found at Hogwarts. This is due to the fact that the high levels of magic make muggle devices such as computers, radar, and other electronics go "haywire" around the school—though wizard "radios" do work, but only because they are a magical imitation of regular muggle radios. There are many magical objects at Hogwarts, including 6 that were said to be possessions of Hogwarts’ founders...and therefore of unimaginable value. Which of these options is NOT one of them? Six magical objects to be found at Hogwarts were said to be possessions of Hogwarts’ founders and were of unimaginable value. The Sword of Gryffindor belonged to, you guessed it, Godric Gryffindor. Goblin made, it was constructed of pure silver inset with rubies. In 1993, the sword appeared inside the Sorting Hat when Harry was inside the Chamber of Secrets, proving to him once and for all that he was a true Gryffindor. 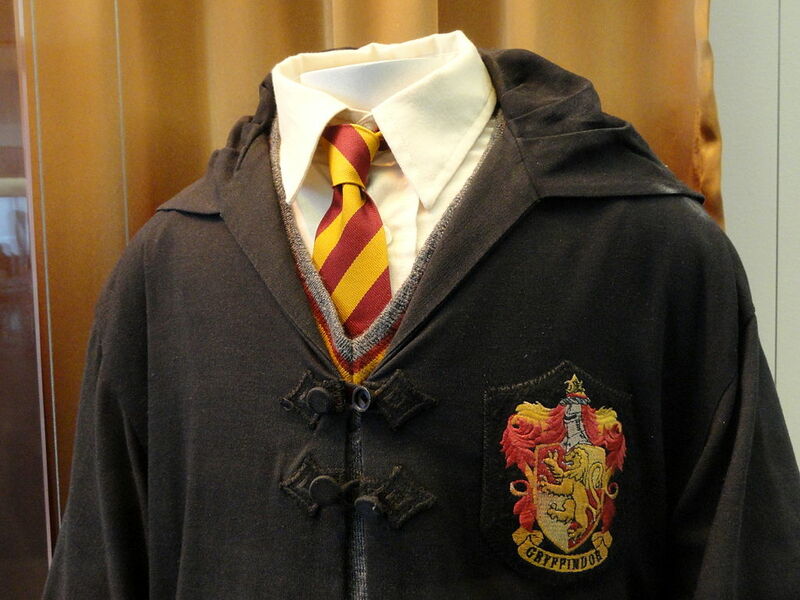 The other relics of the Founders included Slytherin’s Locket, Hufflepuff’s Cup, Ravenclaw’s Diadem, the Founder Statues, and the Sorting Hat itself. How could you possibly know all that? You must be destined to be the next Headmaster at Hogwarts! That, or you’ve read the books and watched the movies more than anyone else alive. Whatever the case, well done. You beat us.